Ah, the wonderful things that happen when one blogs and travels. 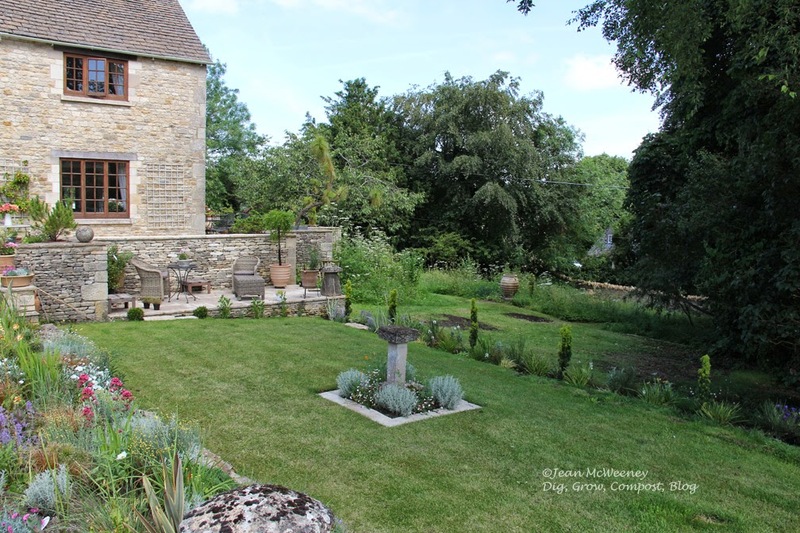 Through garden blogging and a few Garden Bloggers Flings, I met Victoria Summerly, author of Tales of Awkward Hill blog and a forthcoming book about the gardens of Gloucestershire. I had the good fortune to travel to England this month, so I contacted Victoria and suggested a meet up and perhaps a garden viewing or two. 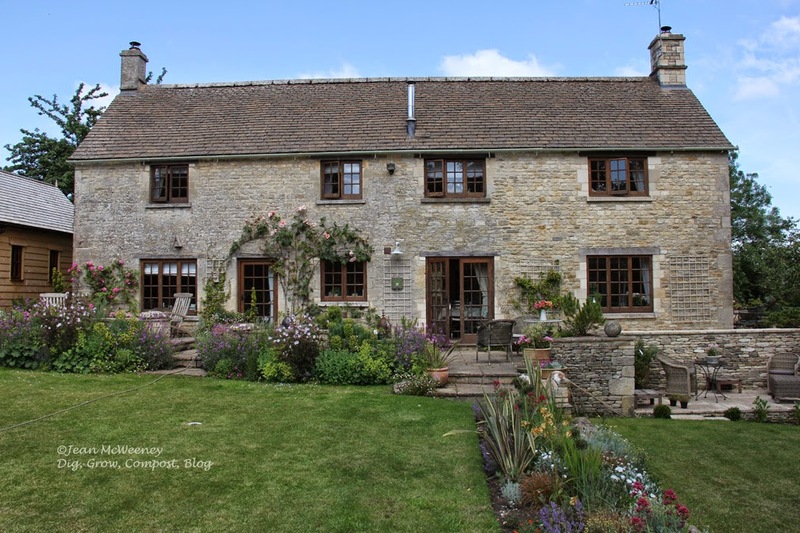 Luckily for me we decided to first go to her relatively new home in the beautiful little village of Bibury. 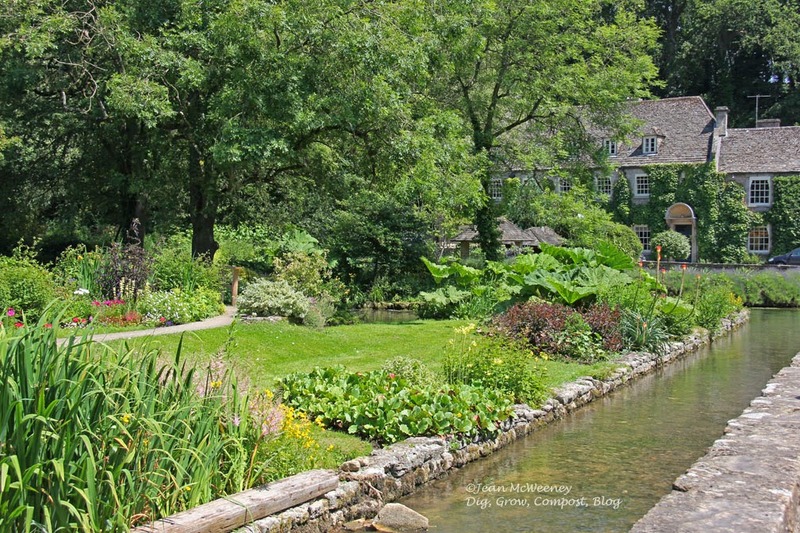 Victoria moved from London to what was described by the nineteenth-century designer William Morris as the "most beautiful village in England" - Bibury. 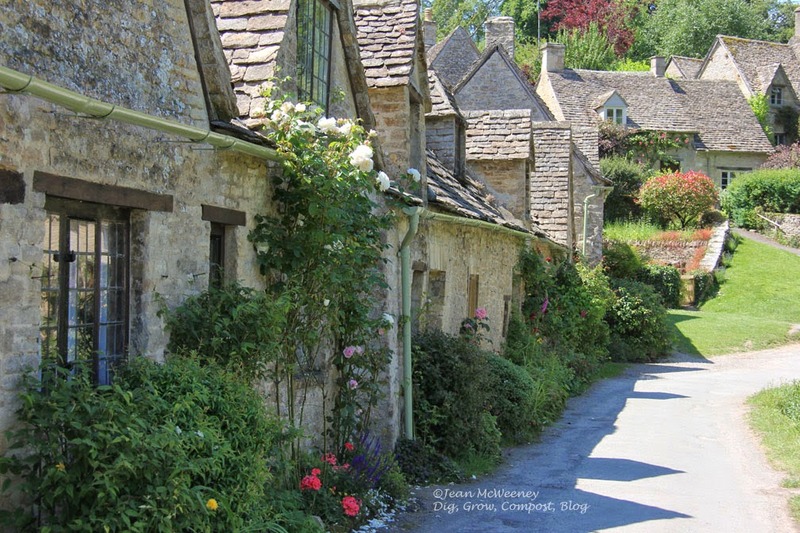 Bibury is an old village, and the mostly seventeenth-century homes, churches, school, and businesses are built of lovely Cotswold stone. The amount of work Victoria has already accomplished in her garden is astounding. Take a look at a few of these photos to confirm! I can't wait to see the garden in a more mature state. The side garden will remain wilder than the back garden and Victoria has plans to put in a really interesting pond there. 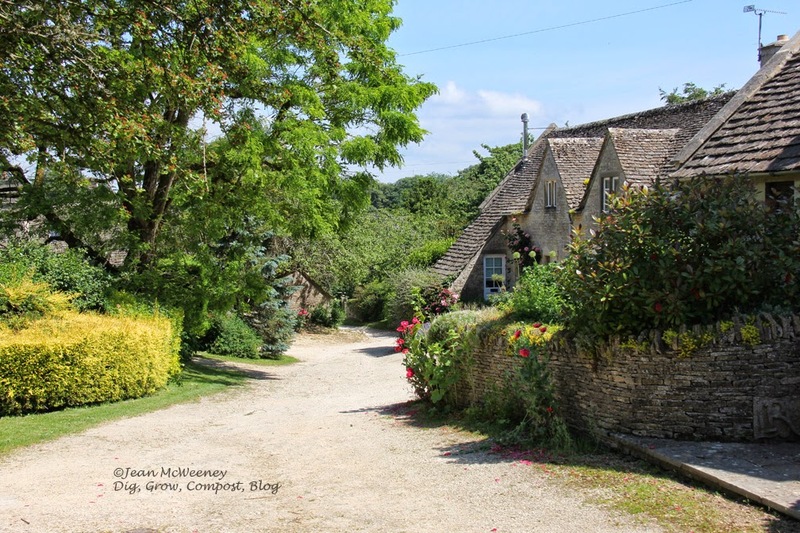 After enjoying the weather and her gardens for a little while, Victoria suggested we take a walk around Bibury, and of course I said yes. We headed up what I thought was a path but what was actually a street. Wouldn't you like to live on a street where every front yard had blooming roses and other interesting plants? ...and sheep and lambs were bleating. 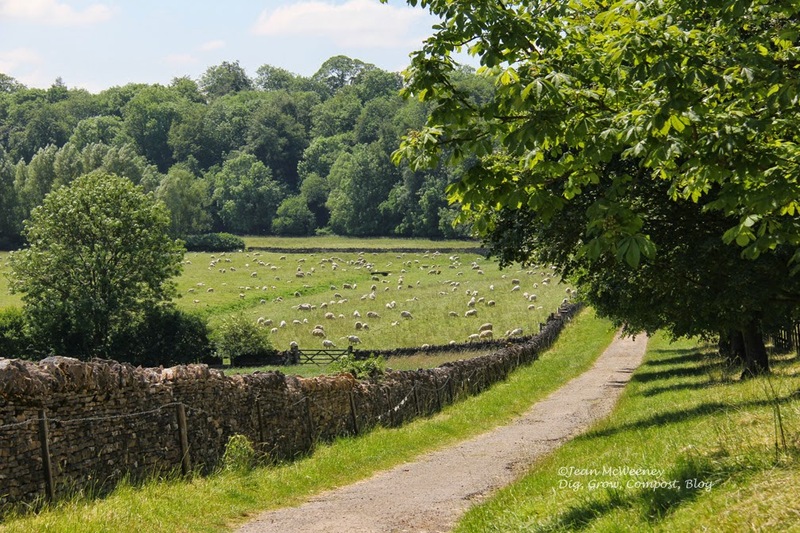 The river Coln runs through Bibury and at one time there were two mills operating here - the Bibury Mill and the Arlington Mill. 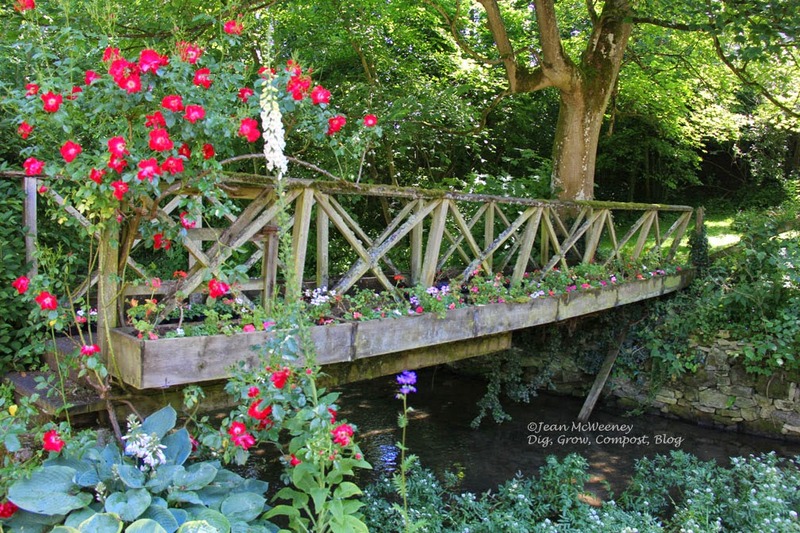 This little bridge is near the old Bibury mill and Bibury Court Hotel. The Arlington Row cottages are quite famous (especially with the tourists!). They were originally built in 1380 to store wool, and then transformed into cottages for the weavers in the seventeenth century. Victoria's home is way up at the top of this hill (thus, where the "awkward hill" name comes in). Eventually we made our way back to Victoria's home and then decided to head out for more adventures. 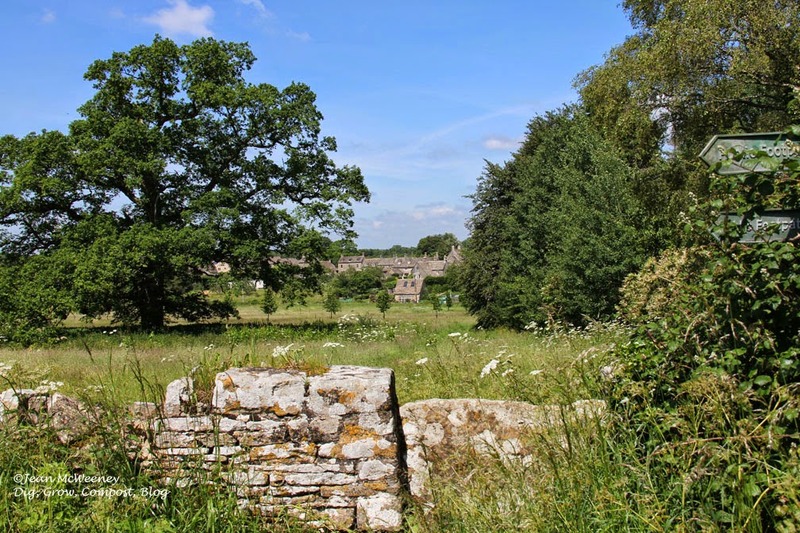 We went to one of the largest and coolest nurseries I've ever seen (in Burford) and then checked out Misarden Park Gardens - lovely! But that will have to wait for another blog post. Thank you for the tour of Victoria's garden. I knew it was going to be delightful...There's something wonderful in every photo...Impressive garden! Absolutely love it, wish I could go! I can't imagine living in such a picturesque place -- like something out of a storybook. Lucky Victoria! And lucky you to have had the pleasure of a visit. 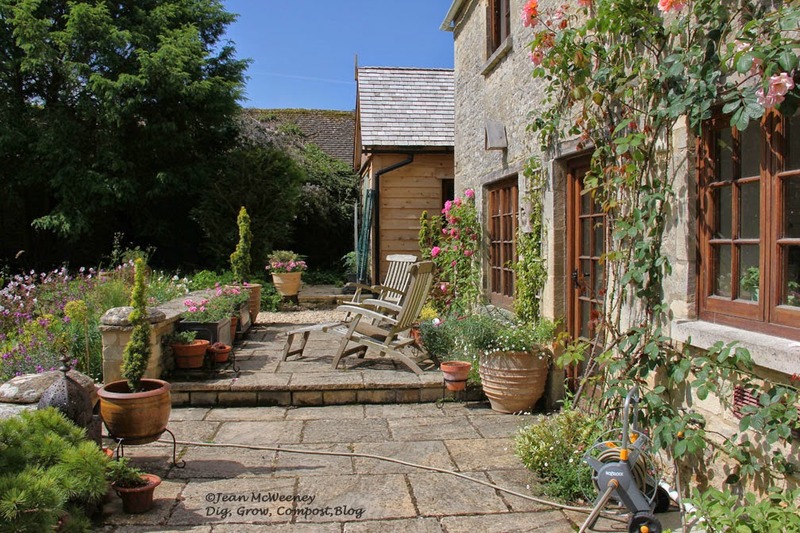 What a beautiful cottage and in such an idyllic story-book setting. Thank you for taking us to Victoria's beautiful home and garden. Wow, what a beautiful place to live! Th eonly word that comes to mind is "Idyllic." I love the Name Awkward Hill! I just found your blog and I have been going through many of your posts, being inspired over and over again. 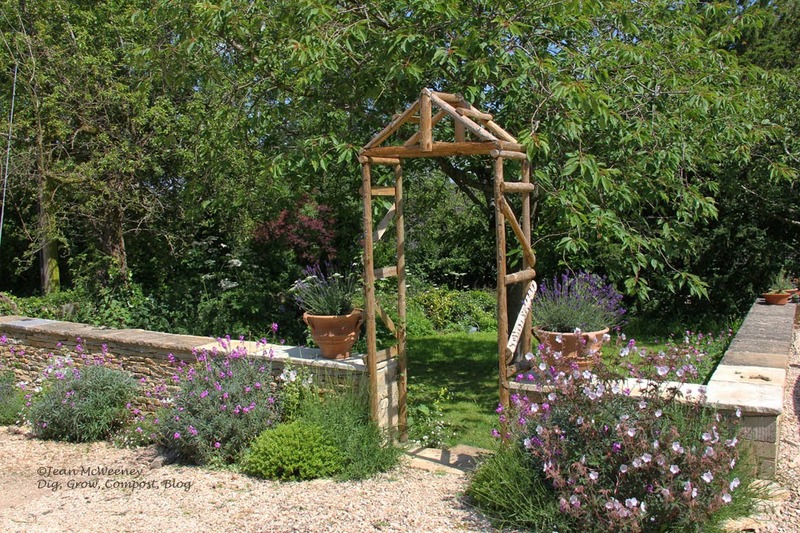 So many beautiful gardens, so many wonderful fence and gate ideas. I am in awe. We purchased a little bungalow on a acre of land back in the early spring. We are in heaven after living in the suburbs for the last 33 years. 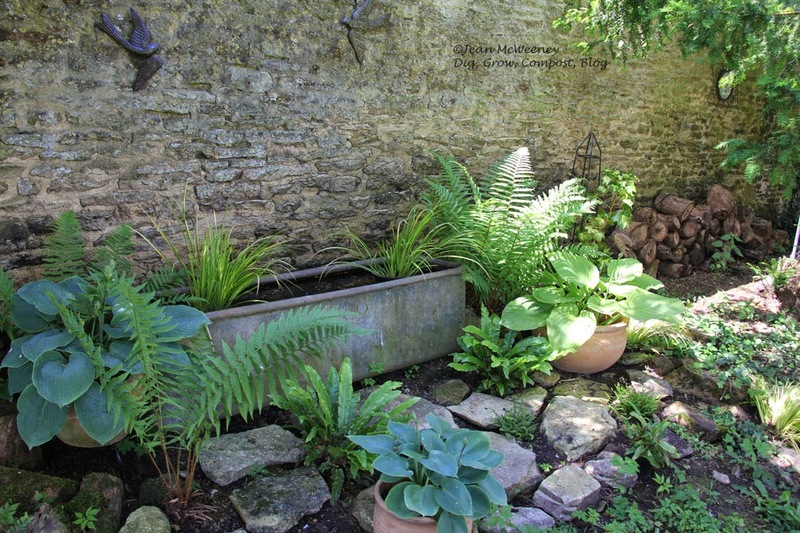 I'm always looking for ideas and will slowly keep adding charm to our property. Your blog is jam packed with gorgeous ideas. Thank you! I am your newest follower. I do hope to make it to Bibury and visit with Victoria some day. 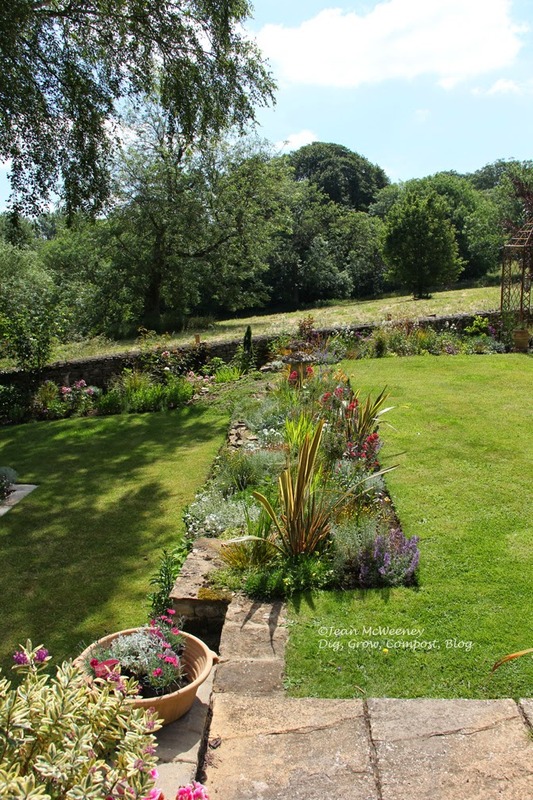 Love the pictures and the fact that blogging brings gardeners together. The garden, cottage and village are absolutely beautiful.